Circumpolar Ural - mountain range in Russia. Its northern boundary starts from the source of the river Liapin (Hulga) 65 40 '. w., and to the south boundary runs through the mountain Telposiz 64 s. sh. Located in the Republic of Komi. Top has an unusual shape - a comb with five gendarmes. Is a welcome place of many tourists. Get to Manaraga hard, many people buy helicopter tours. Difficulty level 1B. Located in the Republic of Komi. 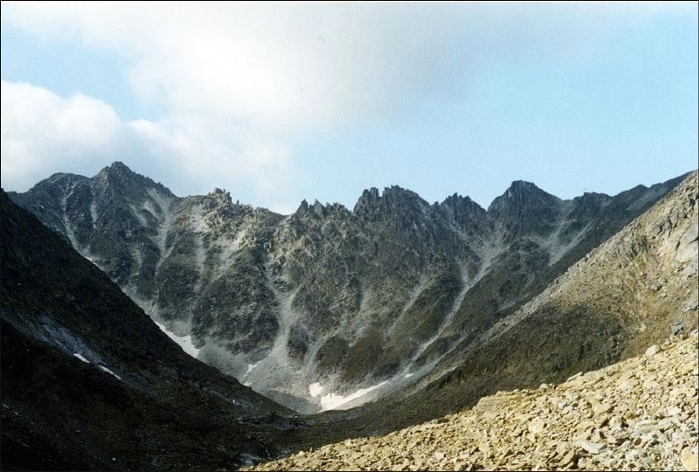 Saber Mountain range is one of the most attractive for mountain climbing. The classic route - winter. It should be taken into account: the easiest route to the summit classified 2B cc and require the skills of movement on snow-ice relief in cats, the ability to organize the insurance and self-insurance, as well as orientation on the rocky terrain. The most difficult - 5A. Located in the Republic of Komi. It is located in the Khanty-Mansi Autonomous Okrug. The third largest, after the People. Separated from the mountain peoples of the River People. It is located in the Khanty-Mansi Autonomous Okrug. 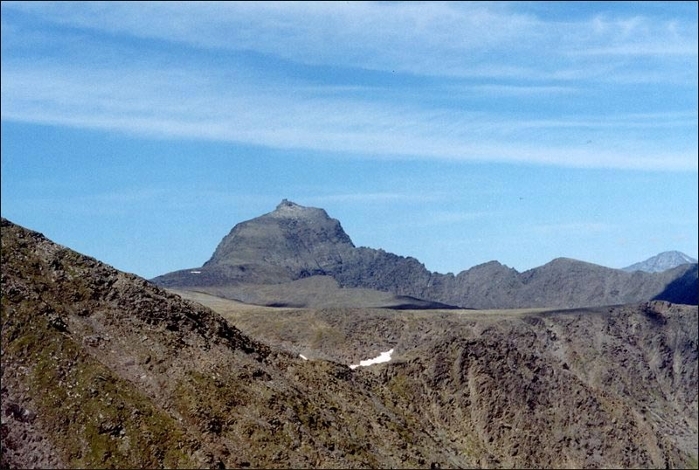 Is the highest peak of the Ural Mountains. 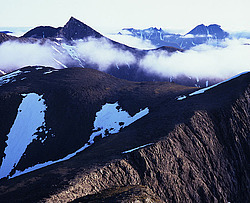 In the alpine zone are flat-topped massifs. Mountain People's nothing stands out among the surrounding communities. Those are difficult slopes, cars and circuses, filled with snow and ice, with small clear and cold water mountain lakes, powerful clusters of stone boulders on the tops and slopes. Still, a few dozen extra feet and put it in first place among all the Ural Mountains. Difficulty category 2B-3A. 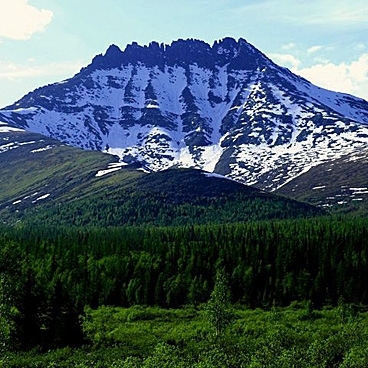 Polar Urals is continental, harsh, with long cold winters and short, cool summer climate. 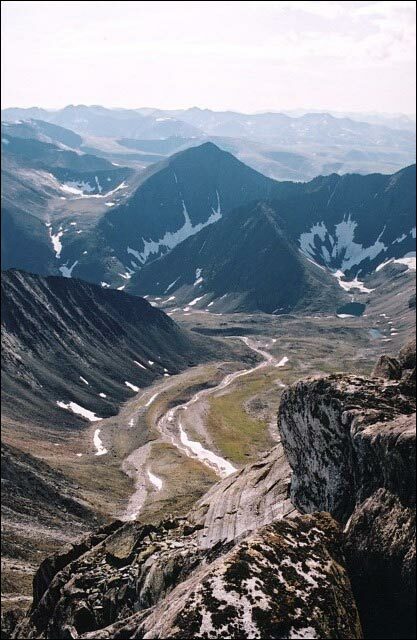 The severity of the climate Polar Urals is mainly due to the northern edge of the geographical location and significantly high ridges. Also significantly affected by the meridional location of the ridges across the main direction of the prevailing winds vlagonosnyh that accounts for the difference in the climatic conditions of the European and Asian part of the Urals, especially in the distribution of precipitation. Winter with negative average daily temperatures and snow cover lasts on average about 7 months adjacent to Ural Mountains and the plains of at least 9 months in the highlands (above 1000 m). Rainy, cold fall. 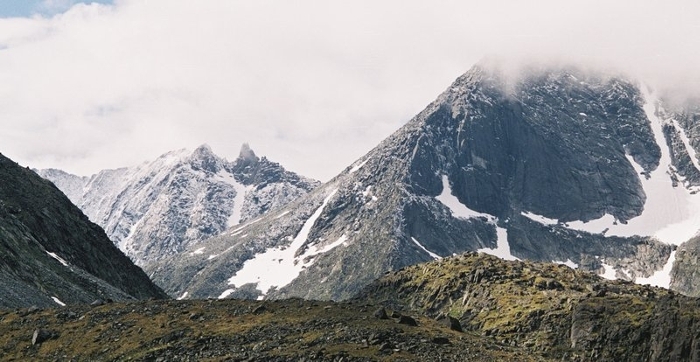 Usually in mid-September the mountains are covered with snow, and only in June in the mountains the snow starts to descend. On the plains of steady snow cover is set for mid-October. At an early winter snow falls for two weeks before and during the prolonged autumn winter comes in the middle of November. In the spring of steady snow cover on the plains of the western slope ends in mid-May, and on the plains of the eastern slope - at the end of April. For early or late spring when the snow cover end of the shift for 2-3 weeks in either direction. Spring is in the Polar Urals, especially on the western slope, protracted, with frequent returns of colds, often accompanied by heavy snowfalls. Getting ready for a ski trip with the intersection of Polar Urals, tourists should remember that spring is on the eastern slope of the coming week or two earlier than the west, so if the group is sent in late March - early April, the route should be started on the eastern slope, and on the west end and not vice versa, that would not get in a mudslide. 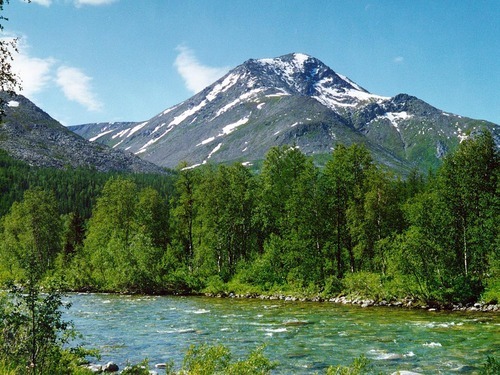 Ural Mountains - the richest rainfall region of the Urals. Especially a lot of them falls in elevated areas of the western slope of the upper-Vangyra, Manaraga, Commerce, Greater and Lesser Patoka, where the annual rainfall reaches 1500 mm. 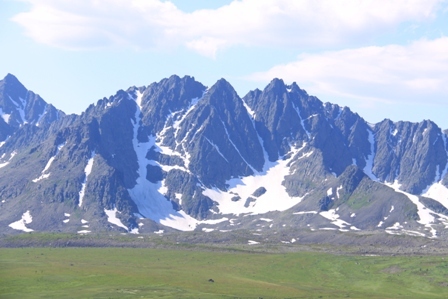 Eastern slope of the Polar Ural drier (500 mm in the plains and 800 mm per year in the areas of particularly high mountains). Most precipitation in the summer months, from June to August (40-50%), and July - extremely humid (20%). Relatively abundant rainfall, also in September, October and May (25-30%). In winter, precipitation is about 30-40% of the precipitation, and in upland areas of the mountains with a very harsh climate - up to 50% or more. 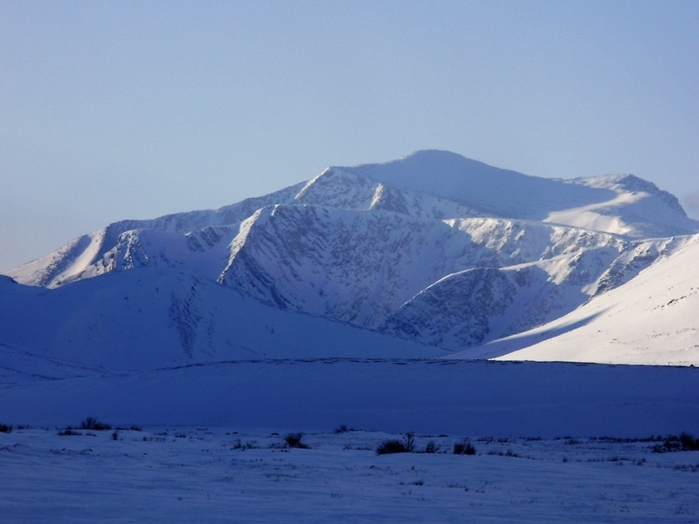 The height and density of the snow in the mountains and plains of Polar Urals different. 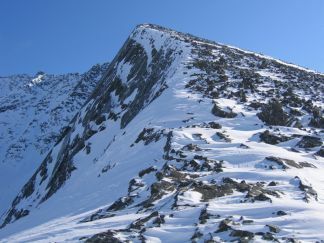 The distribution of snow in the mountains are important terrain elevation, rugged terrain, slope exposure and transport of snow by the wind. Since a large number of high mountain ranges located to the west of the main dividing range, the main vlagonosnye air masses coming to the Ural Mountains on the west side before you reach the main divide, overcoming a number of high ridges separated by broad river valleys. In this case, the air masses lose much of the moisture on the western slopes of the windward ridges, from which partially blown snow on the eastern, postponing to the carts. As a result, the bulk of it is to the west of the main divide. On the east, Asia, the slope of the deep snow are only in the immediate vicinity of the main watershed, and in the 5-8 km east of the cover height does not exceed 60 cm Travellers are therefore conducting ski trips in the European slope will move through deep snow more than Asian. In the forest in the early months of winter snow loose, its density is not greater than 0.20 g/cm3. On the western slope snow depth of 50-70 cm, and the end of winter - up to 110 cm on the eastern slope of the December snow depth of 20-30 cm, and in March, up to 50-60 cm at a density 0,20-0, 25 g/cm3. In the snowy winter snow here is so small that you can walk through the woods without skis. General snow reserves the western slope of Polar Urals is 2-3 times higher than the east, causing rivers that feed mostly melted snow water (60%), on the western slope of the yield and more profound than on the east.